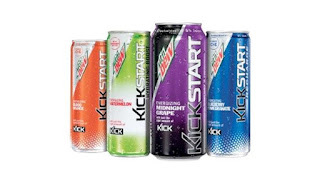 "Since the brand's introduction in 2013, Mountain Dew Kickstart has been an incredible success – one of our most exciting innovations of the past decade – and we're continuing to give guys the bold new flavors they're asking for with the introduction of Midnight Grape, Watermelon, Blueberry Pomegranate and Blood Orange," said Greg Lyons, senior vice president of marketing, Mountain Dew. In conjunction with the release of these new flavors, Mountain Dew will build upon its "It All Starts With a Kick" campaign, launching a 360 degree marketing program including engaging digital and social media, broadcast and out of home advertising, merchandising and experiential activations. For the first time since 2000, Mountain Dew will return to the Super Bowl. PepsiCo promises a hilarious TV ad that combines fan-favorite ad elements and is guaranteed to have fans talking. We will see how funny it is when we see it. Mountain Dew Kickstart launched in 2013 and has been dubbed one of PepsiCo's most successful beverage product launches in the past decade, generating annual retail sales of more than $300 million. With only 60 calories per 12 oz. serving, the four new low-calorie beverage flavors join six previously released flavors - Orange Citrus, Fruit Punch, Black Cherry, Limeade, Pineapple Orange Mango and Strawberry Kiwi.